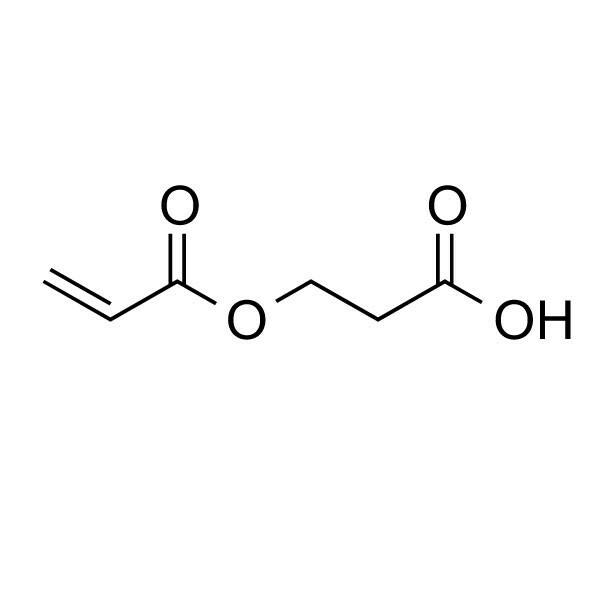 Beta-Carboxyethyl Acrylate, >98% Active | Polysciences, Inc. Promotes flexibility in polymers owing to lower glass transition of its homopolymers (< 30°C). Provides improved adhesion and stability in emulsion polymers, due to its -COOH groups being more available than those in the conventional carboxylic acids. Much more reactive in its salt form than acrylic acid, allowing high levels of incorporation, over a wide pH range. More compatible with other monomers, thus reducing aqueous phase polymerization and producing more uniform copolymers.